SM7-385A UV DLP projector is a compact light engine module which can be applied to the fields of industry, medicine, biology and science. The core adopts TI DLP display and drive technology, and the display unit uses 0.45 inch DMD with the resolution of WXGA 1280×800. The UV DLP projector uses full-metal shell and all-glass material. The symmetric design of the projection lens is especially suitable for binocular structured light. It supports multi-wavelength LED light source and various of projection lenses, and it is convenient to replace. The projector can support synchronous input and output, store raster images directly, set up projection time of each image, and correspondingly output synchronous trigger model in order to meet the needs of customers in different environments. 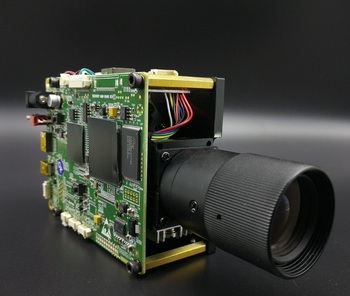 The projector supplies portable, programmable and compact light engine module for customers, and it is especially for the 3D raster scanner with high-end requirements.